Among the major enteric pathogens, Campylobacter jejuni is considered an important source of diarrheal illness in humans. In contrast to the acute gastroenteritis in humans, C. jejuni exhibits prolonged cecal colonization at a high level with little or no pathology in chickens. Although several known virulence determinants of C. jejuni have been found to be associated with a higher degree of pathogenesis in humans, to date, little is known about their functions in the persistent colonization of chickens. The present study was undertaken to assess the role of C. jejuni in imparting differential host immune responses in human and chicken cells. Based on the abundance of major genes encoding virulence factors (GEVFs), we used a particular isolate that harbors the cadF, flaA, peb1, racR, ciaB, cdtB, and hcp genes. 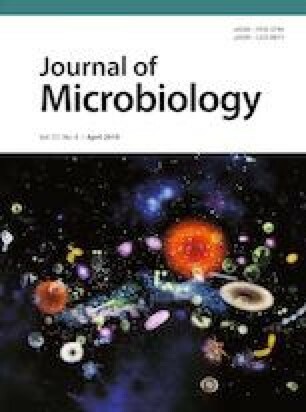 This study showed that hypervirulent C. jejuni isolate that encodes a functional type VI secretion system (T6SS) has a greater ability to invade and create characteristic “attaching and effacing” lesions in human INT407 compared to primary chicken embryo intestinal cells (CEICs). Furthermore, we demonstrated that the higher bacterial invasion in human INT407 triggered higher levels of expression of major proinflammatory cytokines, such as IL- 1β and IL-6, and significant downregulation of IL-17A gene expression (P ≤ 0.05). The findings of the present study suggest that the enhanced ability of C. jejuni to invade human cells is tightly regulated by proinflammatory cytokines in the gut and possibly holds the keys to the observed differences in pathogenesis between human and chicken cells. Supplementary material is available for this article at https://doi.org/10.1007/s12275-019-8165-0 and is accessible for authorized users. Supplementary material, approximately 250 KB.